FREE shipping & handling worldwide. Orders are shipped within 1-2 business days (Monday to Friday), excluding major holidays. The contiguous USA is the 48 adjoining U.S. states and does not include: Alaska, Hawaii and all off-shore United States territories and possessions, American Samoa, Guam, the Northern Mariana Islands, Puerto Rico, and the U.S. Virgin Islands. *Shipping to PO Box addresses in all states will be by USPS. The non-contiguous US includes: Alaska, Hawaii and all off-shore United States territories and possessions, American Samoa, Guam, the Northern Mariana Islands, Puerto Rico, and the U.S. Virgin Islands. *Shipping method and delivery time vary depending on order size, weight and shipping address. Please contact an AlgaeCal Customer Representative at 1-800-820-0184 to get more information. For all international orders, applicable duties, value added taxes (VAT) or import consumption taxes may be required upon delivery. Express delivery options are available in selected countries for an additional fee. Please contact an AlgaeCal Customer Representative for more information. You can also contact us toll free at 1-800-820-0184 (USA/Canada) or directly +1-510-564-7192 (Int’l). Alternatively email us at [email protected] and we will be happy to assist you. To check the status of your order, please use the tracking number included in your shipping confirmation email. Sometimes this email can end up in another folder in your email account, so please ensure you check your other folders. You can also contact us toll free at 1-800-820-0184 (USA/Canada) or directly +1-510-564-7192 (Int’l). Alternatively email us at [email protected] and we would be happy to assist you. You will receive an email within 24 hours with the RMA number and instructions on how to return your product. All refunds will be processed within 5 business days of receiving the package. After a return has been processed, it may take up to 5 business days for the Bank to process the refund to the credit card. Important Notice: Packages returned without an RMA number won’t be accepted so please make sure to get one before sending it back. Return postage costs are the responsibility of the customer. If you find yourself dissatisfied simply contact us to obtain a Return Merchandise Authorization (RMA) number, and return your unused or partially used bottles of AlgaeCal products for a 100% refund within 1 year from your purchase date. If you need anything at all please call our customer service toll free at 1-800-820-0184. 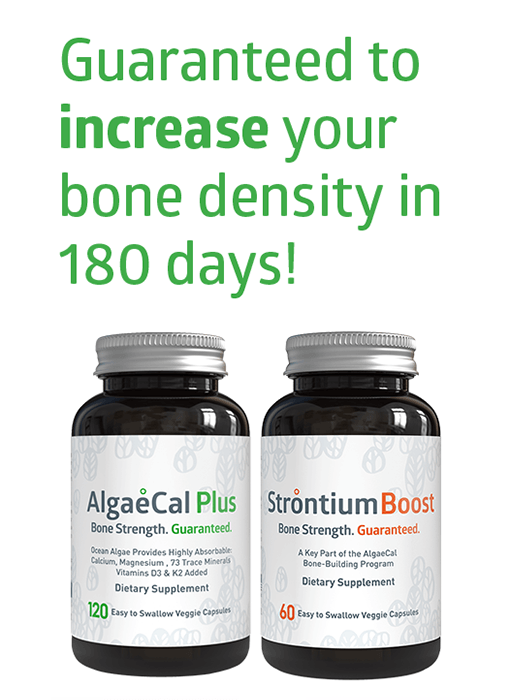 Stronger Bones for 7 Years Guarantee: When you follow directions for use of AlgaeCal Plus and Strontium Boost –we guarantee you will see increased bone density in EVERY follow-up DXA scan you have while using these 2 products. If any DXA scan does not show an increase in your hip and/or spinal bone density, we will refund every penny you paid for our products between that scan and the previous scan. This guarantee extends to every scan you have for the next 7 years! Click here for details. 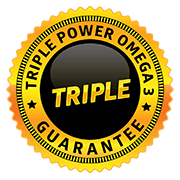 Our Triple Guarantee means you can try Triple Power Omega 3 Fish Oil risk-free. And you are guaranteed to improve your health or get your money back! Guarantee #2: We guarantee it will be fresh and burp-free, or we’ll refund your purchase price immediately. 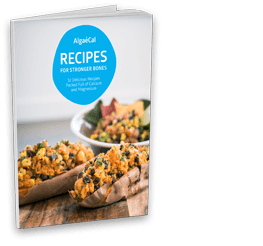 Guarantee #3: If you don’t improve your omega 3 levels in 90 days, we’ll refund your purchase price! If you need anything at all, please call our customer service toll free at 1-800-820-0184. Have a question about a product, order, or your account in general? Click here to go to our Frequently Asked Questions page!